For those new to 3uTools, the task of getting media content loaded onto your iPhone or iPad can be a daunting one. 3uTools may differ from iTunes, which you’ve become accustomed to. 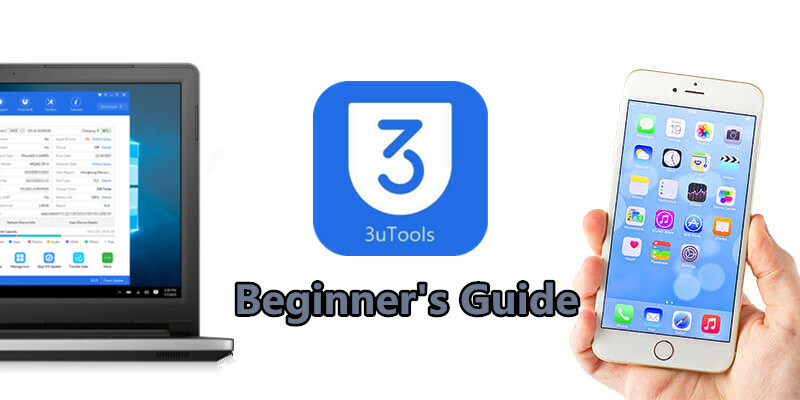 This beginner's guide will provide the information that both the novice and experienced 3uTools users may find useful. - iTunes is necessary for you to use 3uTools on your device, so you need to install iTunes on PC before any operation. - Please confirm both USB cable and port work normally. 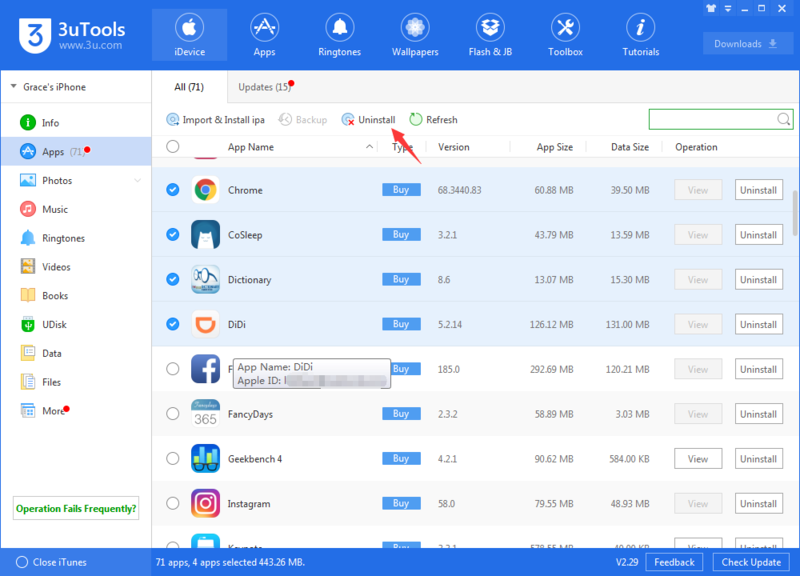 - 3uTools can not bypass iCloud lock or carrier lock. 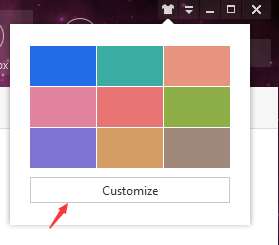 1) Customize wallpaper on 3uTools for better user experience. 2) At the moment, there are 8 language versions of 3uTools. Info: You can view your device’s detailed information. The primary concern of iPhone users is battery life, thus 3uTools provides the full information of battery life. Apps: Batch uninstall apps on your device or import multiple ipa files. When you hover the mouse over an App, you know get the purchased Apple ID. Photos & Music & Ringtones: You can view these data of your device on PC, then batch manage them. Also, back up them to your PC in case of data loss. Videos: How to Import Video from PC to iPhone? Books: How to Import Ebooks to iPhone, iPad? UDisk: Just as the name implies, this is mobile storage for you to store data. Data: On unjailbroken devices, you can only edit Contacts and Notes. However, Notes is not available on iOS 11 because of its file system. Files: Access to the file system of your device, equals to iFile or Filza. After you jailbreak and install AFC2, you can also access to the file system of jailbreaking which is locked by Apple. Online Resource - There are various Apps, wallpapers and ringtones for users to download without charge. And we always enrich online resource on 3uTools. 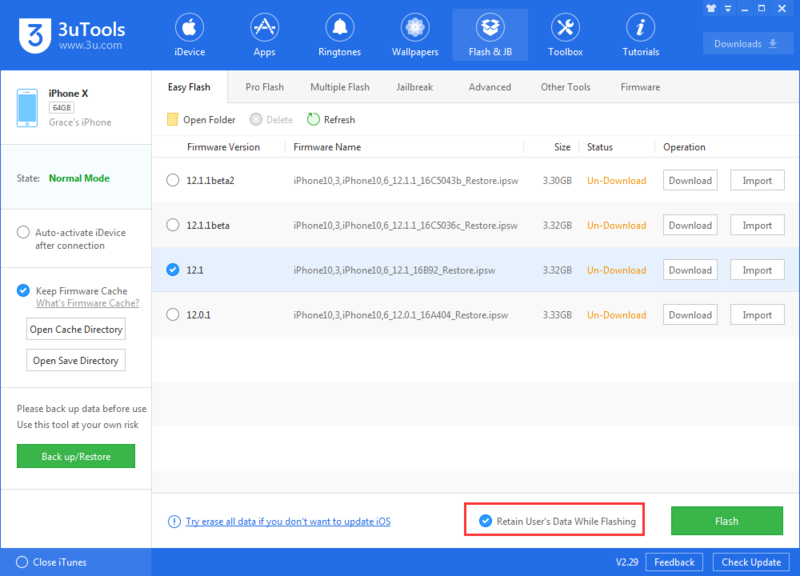 Flash: You can not downgrade to unsigned iOS version even though you import the firmware. New users are recommended to easy flash on 3uTools. The main difference between iTunes and 3uTools is that you can restore to another iOS version with data reserved. Jailbreak: Based on the iOS version and product type, select the matched jailbreak on 3uTools. 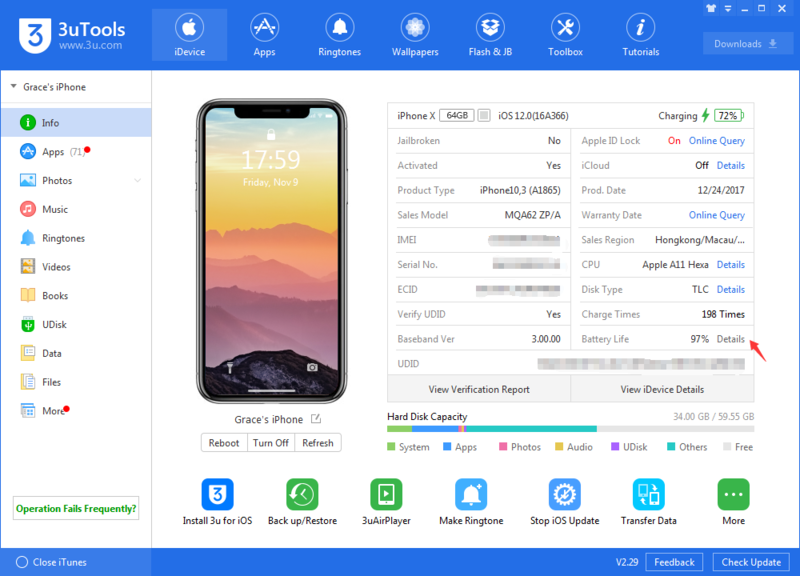 The adavantage of jailbreaking on 3uTools instead of using Cydia Impactor is that, you don’t need to download the jailbreak ipa or input your Apple ID. As you can see in the toolbox, there are different basic features, you can use them as needed. 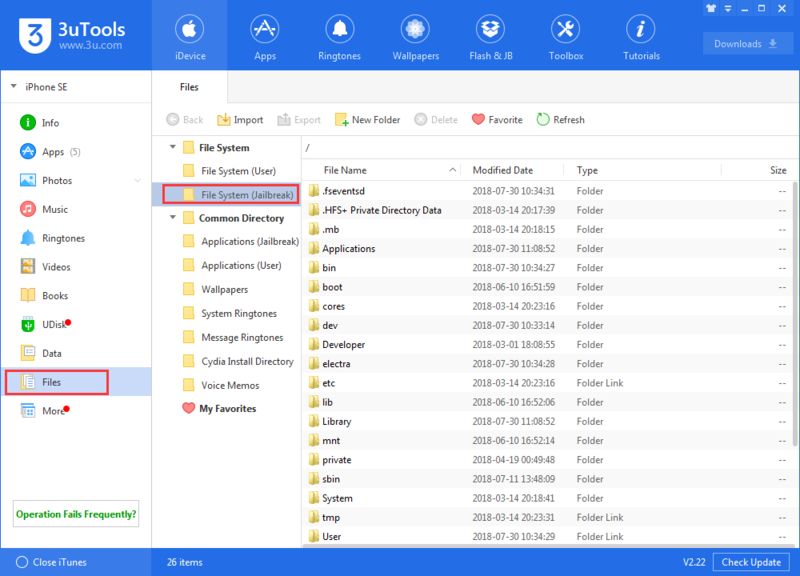 Back up & Restore: How to Back up and Restore in 3uTools? 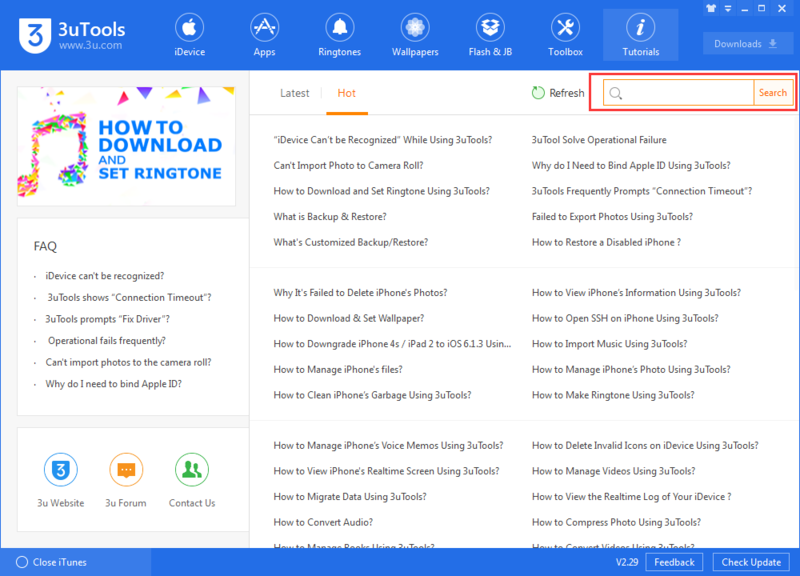 We are updating a plenty of informative tutorials about 3uTools or iOS for your reference, you can input key word into search bar on 3uTools or on our official website.